One very important part of buying a house is to get a home inspection, this should be included as a condition of closing. Professional inspectors should look at the building's structure & systems. This would include the roof, heating/cooling systems, floors, doors, windows, and the foundation along with other physical componets of the home. During this time the inspector will also check the land that the home is on. Such things as grading, retaining walls, & foliage should be checked. Either a home inspector or general contractor can be used to preform the inspection. All main house systems should be covered, top to bottom, including plumbing, heating & electrical, foundation, drainage, & the roof. The cost for all of this will vary, but look to spend between $200 and $500 all depending on the property you are haing inspected. The type of home along with age & size will determin your cost here. Along with the inspection you should also hire a licensed pest control inspector. Here you can get a special pest report for the property in question. They check for bugs like flying beetles & termites along with other home damaging insects. 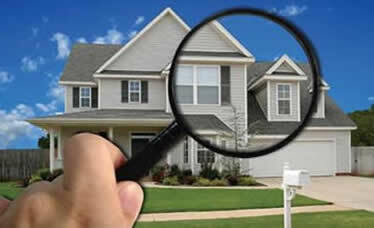 In addition to checking your potential new home for pests, this person will also check for things like fungus & dry rot. You may be able to find a general contractor that can also preform the pest inspection, many are licensed for both, but you may be charged for double time to preform both inspections.